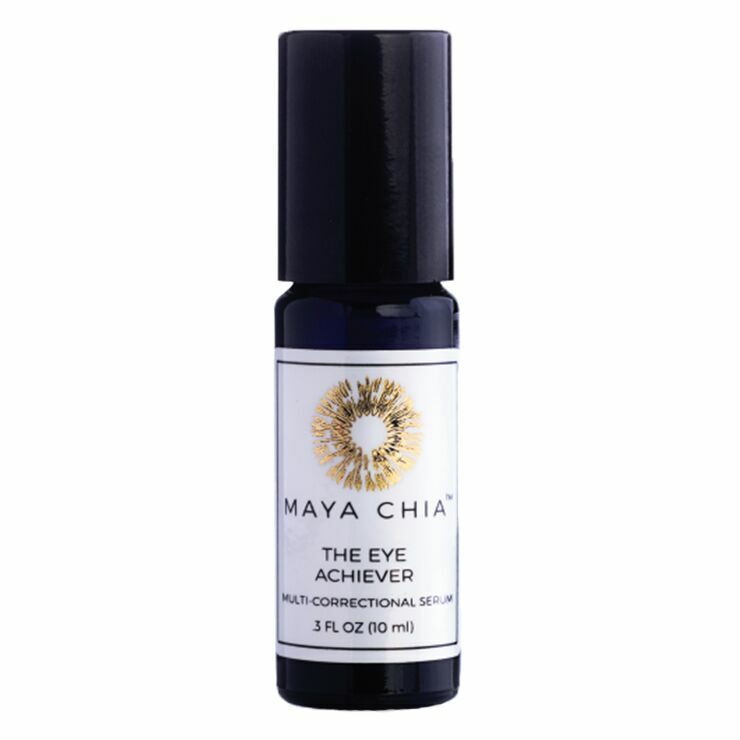 Maya Chia’s The Eye Achiever gets an A+ with its concentrate of potent, nutrient-packed natural marine and plant actives that bring a feeling of deep, intense moisture and protection to skin around the eyes, resulting in a revitalized, radiant appearance. Roll the cool rollerball gently from inner to outer corner under eye. Allow to soak in naturally or tap with the tip of the ring finger along the eye area. Roll along crows feet, laugh lines and along the nasolabial folds if desired. I love this product. The roller application is brilliant and goes on so easily. I use it under the eyes and on the unwanted creases starting to show up on my face ;/ It's hard to be sure but I think it has made a difference to my dark circles. In any case, I love how it smells and together with the Maya Chia pressed serum, when I use it at night, I feel very calm and relaxed with those scents around me. I use the eye achiever in the mornings too an it definitely minimizes morning puffiness. This is one product that I will definitely buy again.